I have been wanting to review nuNAAT hair care collection because I found their products interesting. I was finally given a chance to do that after I got back from my vacation in the Philippines. The biggest problem that I have with my hair is that it gets dried out and frizzy. After looking at their product line, I was interested in reviewing either the NAAT Brazilian Keratin System Professional or the Karité Special with Shea Butter. Steph from nuNAAT recommended the NAAT Brazilian Keratin might be the best to help solve my frizziness problem. In a nutshell, we found some of the finest ingredients for our products in Brazil’s rainforest. We searched the world over to unearth nature’s bounty–all kinds of nuts, berries, fruits and plants. We even picked up a few ancient secrets along the way. Inspired by the natural resources found in Brazil’s rainforest regions, nuNAAT® was founded. We began fusing nature with modern science, creating an array of extraordinary hair care products. As a division of Brazil’s M. Cassab Group, we carefully crafted our line with the belief that, with the right combination of natural ingredients, everyone can have great hair. After trying our products, others began believing it too. And just like that, nuNAAT® was discovered. 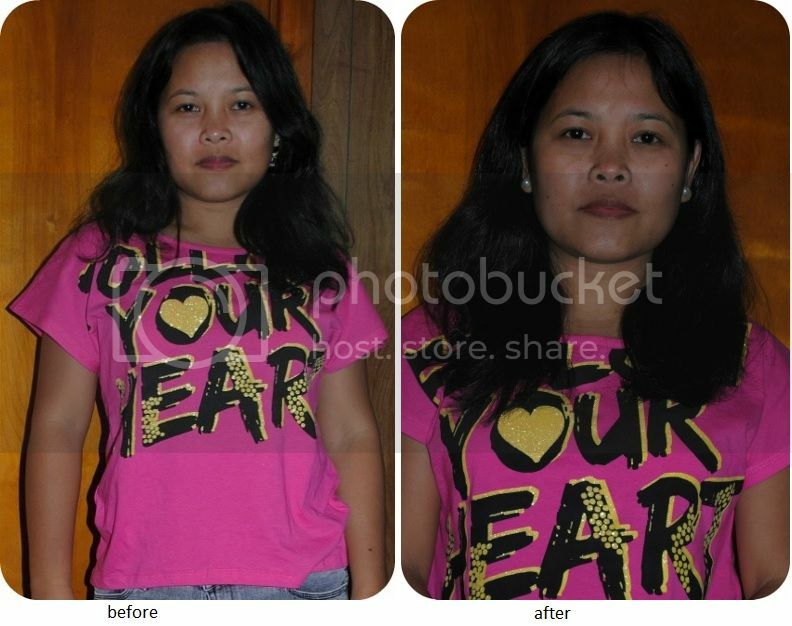 After using the NAAT Brazilian Keratin hair care products for more than two weeks, I can honestly say that they are helping my hair concerns as you can see from the before and after pictures below. I did not use a hair straightening tool to control the frizziness. My favorite among the NAAT Brazilian Keratin hair care products is the Liquid Keratin Leave-In Reconstructor because it is not necessary to rinse. You just need to apply it to your hair, massaging it in from root to tip. My least favorite is the Intensive Hair Mask because after applying it throughout my hair, I have to cover it and let it set for fifteen minutes and then rinse. Sometimes, when I am in a hurry, that is a hassle but I still enjoy having this product in my hair care routine. 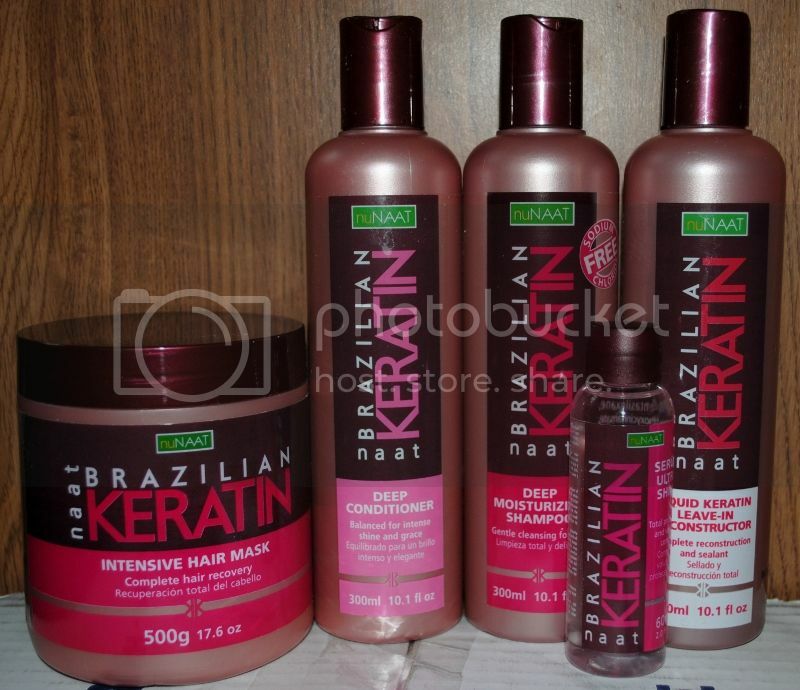 I like the smell of all the NAAT Brazilian Keratin products. It is not weak or overpowering, just right. I am happy with the results and recommend this product, especially to those who have frizzy hair. I also would like to extend my desire to work with them again in the future. If you want to get the latest and greatest deals of nuNAAT, find nuNAAT on Facebook, follow nuNAAT on Twitter or subscribe to nuNAAT on Youtube.